The enigmatic sign of the zodiac, Scorpios love to wrap their lives in mystery and their behaviour is often very intense and almost hypnotic. Not only you will work out these things properly but you might also come across other good ideas on your way. You might benefit from unexpected financial support as well. You can also read this Scorpio Daily Horoscope. Those born between October 23 and November 21 are known as the analysts of the zodiac. They are focused and passionate and love to live intensely. Some other Scorpio traits include being very opinionated and hard working. They appear to be most charming persons to everyone they come across with. Just like a true Scorpio, they are emotional, mysterious and sometimes even tolerant. Scorpios appreciate being listened to and traveling to far away places for long get-away. They are captivated by people who are as mysterious and complex as themselves. Furthermore, people born in Scorpio dislike mediocrity and being confronted with sudden change. They avoid situations where they can not feel in charge and control things. It is quite complicated to create a connection with a Scorpio, as they are reticent to opening their hearts to new people. Being ruled by Pluto makes them passionate and eager to pursue higher dreams. Being a water sign, Scorpio is deep, mysterious and in a continuous change. This zodiac sign is ruled by the eighth house which represents ultimate transformations and hidden powers. Scorpio positive traits: We are talking about a determined and hypnotic personality. Many of these natives are so good with words and subconscious manipulation they can change the mind of the most stubborn person. The biggest strength of any Scorpio is represented by the fact they are usually full of curiosity and they want to know what is going on everywhere. Many of their surprising actions show how fearless they can be when they have the right motivation. Some other Scorpio qualities include being good with words and body language as these natives have complex personalities that unravel in time. They are not only extremely inquisitive but they are also poised and loyal and quite private when it comes to their own affairs. Once someone wins their true respect they are sure to act very respectable and be a great company. A victorious Scorpio knows how to make use of their magnetic and passionate charm to attract interesting people and opportunities. Scorpio negative traits: One of the things Scorpios need to learn is to stop being so controlling and demanding and listen more to what others have to say. They are possessive and jealous with people they get attached to and intolerant with those who make mistakes that affect them. Sometimes they incline to easy hurt others and have quite a resentful nature as they rarely forget and forgive. Scorpio weaknesses include jealousy and possessiveness for no particular reason. But the biggest of them all is the fact that they can be quite devious and tricky to handle when they are set to obtain something at all cost. Scorpio individuals can make their life easier if they relax and try not to have such a resentful and intolerant nature. The mysterious Scorpio people have their own, very special way in love. Some may say that they overcomplicate everything whilst others will appreciate them exactly for their way of packaging everything in such a complex manner. On the down side, they may find it complicated to exhibit the true depth of their emotions and are not often eager to commit to one person, but when they finally do it, they become very loyal and reliable. However many things they may end up keeping to themselves, with enough patience, you can get to understand even the most complicated Scorpio lover. Credit to them, they are not afraid to appear sensible and weak in front of someone else, although they do try to temper their own impulses as much as possible at the beginning. Scorpios are attracted to sensual partners who know how to handle them and know how to combine praising with criticism. One can conquer the heart and mind of Scorpio by dedicating their life to understanding their complex parade of emotions and also to supporting their impulsive life decisions. When single, these natives enjoy dating rituals and keeping an aura of mystery on their lives. Scorpio people tend to put a lot of soul in what they do and it shouldn’t come as a surprise that they are just as interested and picky when it comes to whom they are attracted to. The power of water is all very strong here so they get along best with the two water signs: Cancer and Pisces. With Cancerians they share the same emotional sensibility and intuition, while Pisces entice them for being as creative and interesting as them. Scorpio is most compatible with a partner who can understand them and also fulfils all their desires. Such a sign could be Taurus. Whilst at first the relationship may be rocky, in time, the two souls manage to complete each other. Opposite to this, Scorpio people seem to be least compatible with Libras because although passion is there, both signs have different views of life in general and may also not understand each other’s emotions. Their general health seems to present an average interest for Scorpio people. Whilst they are happy to try healthy diets and activities, they are not overly concerned with keeping fit or avoiding disease at all costs. Stress does take a toll on them, especially when they are at their peak working years. The Scorpio zodiac sign rules the genital organs, bladder and associated arteries. This means that these people are more likely to suffer from affections concerning the above mentioned regions. Their lifestyle might also trigger small conditions affecting their sensible organs. Scorpios thrive in environments where they can show how intelligent and analytical they are. They make great investigators and social workers but can also work to great accuracy with finances. They are not afraid to criticise and show how things really are and, in equal measure, they would feel weak if they would not point out the obvious. When young, they may struggle with their choice of a career and they may lose some opportunities on purpose, just because they don’t feel right at that time. Career occupies an important part of their lives but it sure comes second place when they are happy or are trying to achieve something in their personal life. 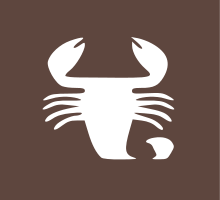 Supporting and protecting their family plays an important role in the life of Scorpio. They sometimes tend to sacrifice their own desires for the sake of their family. This is not always the best solution because the outcome may be them being frustrated by their own choices. However, when they reach a balancing point thing go quite calm in their lives. Scorpio children are quite hard to handle as they are sneaky and love to test their parent’s patience. Scorpio teenagers follow the same path and seem to be listening only to the tune of their minds. These natives embrace some family traditions but they are not very keen on them. These are one of the most complicated but well-meaning friends someone can have. They appear to be moody but in fact are quite dependable when their friends ask for help and they often go above and beyond to help those in need. They are sociable but also very possessive with those they are already friends with and it is quite hard to win their appreciation. They are loyal and understanding with those who grow close to them. They tend to keep friends separate from family and they seek for friends that are as interesting and practical as they are. The Scorpio women are sensitive and charming. Elegant and confident, these women are highly demanding and demonstrative. They are very critical but also emotionally ambiguous. They are both objective and sensible so they most certainly need to set their priorities straight in order to fulfill their dreams and meet their true potential. The Scorpio men are passionate and intense. They have their own special approach to life that is magnetic and mysterious for everyone else. Despite their confident and charming appearance they are quite tormented sensible souls beneath. They seem to be seeking social contact and affirmation but in their hearts they crave for stability and settlement. They are great with finances and if they would manage them objectively and not on intuition they would have quite a relaxed retirement ahead. People born during the period when the Sun goes through the section of Scorpio in the zodiac, between October 23rd and November 21st, are considered to be in the Scorpio zodiac sign. There are three Scorpio decans, each with their own influence on the personality of those born during them. Birthday dates ranging from October 23rd to November 2nd are placed in the first decan that is governed by the planet Pluto. Those born between November 3rd and November 12th belong to the second decan that is under the supervision of the planet Neptune. Scorpio birth dates ranging from November 13th to November 21st are placed in the third decan that is influenced by the Moon. Click on your birth day in the calendar below to read a complete description of your Scorpio personality! Does the information on Scorpio Zodiac Sign describe you?